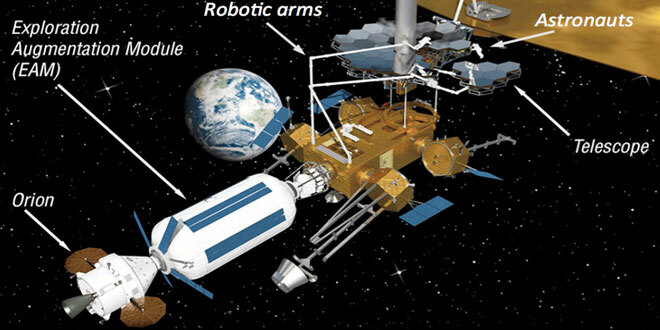 Future satellite servicing concept by NASA. Credit: NASA/SSPD. In December we wrote a story about MDA’s subsidiary Space Systems Loral (SSL) in the U.S. winning a long sought after satellite servicing contract with NASA’s Goddard Space Flight Center. Yesterday, the NASA Future In-Space Operations weekly telecon provided an update on the evolution of NASA Goddard’s satellite servicing efforts including the Restore-L Mission which will see SSL build the spacecraft bus. The presentation is available below but the audio of the teleconference provides a lot lot detail and is available here. The speaker was Ben Reed of NASA Goddard. Mr. Reed is Deputy Program Manager, Satellite Servicing Projects Division, NASA Goddard Space Flight Center. He currently serves as the deputy program manager of the Satellite Servicing Projects Division at NASA Goddard Space Flight Center. NASA’s Goddard satellite servicing efforts have evolved since 1990 with the five successful Hubble Space Telescope Servicing Missions (1990-2009) and then continued on as the Satellite Servicing Capabilities Office (2009-2016). The evolution of satellite servicing at NASA has led NASA to evolve the Goddard office on the newly created Satellite Servicing Projects Division (SSPD). Advance the state of robotic servicing technology to enable the routine servicing of satellites that were not designed with servicing in mind. Position the U.S. to be the global leader in in-space repair, maintenance and satellite disposal. Help to enable a future U.S. industry for the servicing of satellites. MDA recognized the need for satellite servicing early on and has been steadily working towards becoming an important stakeholder in this future business segment. It was the acquisition of SSL in 2012 that made it possible for the company to win the Restore-L spacecraft bus contract.